Since the beginning of time, we’ve told stories to share ideas, events, and knowledge. Storytelling is one of the oldest ways to get people together. Back in the days when there was no TV, internet or other perks specific to our modern society, people used to gather and tell stories of what they saw, heard or experienced. Every culture has used stories as a means to connect, to inform and entertain. Things haven’t changed much, we still enjoy listening to a good story, and this fact helps when looking to retain talents and hire the people you want in your company. For any company brand, storytelling is the most authentic and relevant way to communicate who they are and what they offer. Storytelling skills also give recruiters an advantage they can use to capture the attention of candidates and sell the opportunity they are offering to them. The great storytellers have an unfair competitive advantage over others because they are going to recruit much better than others. Who doesn’t enjoy a good story? We all enjoy most stories we hear. That’s why you should focus on improving your storytelling skills. Besides this, people tend to make a connection between the person and what they hear in the story, which can cause the content turn into a more personal experience. It is easy to understand that graphs and numbers won’t trigger the same results. A good story, on the other hand, will provoke their thinking process, will stir their interest, and, above all, it will make them care about what they are hearing. Thus, storytelling can be an easy and powerful way to create new connections with people and attract them toward your company. 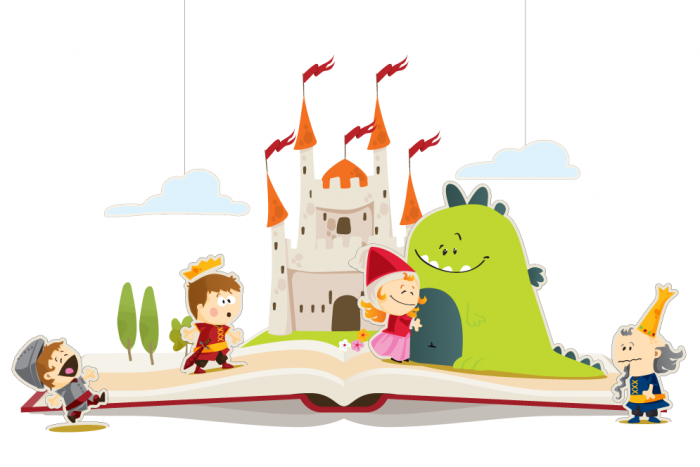 How can you create a good story? Good stories can’t be found anywhere, and you need to have some aspects in mind if you want to make sure that your audience will indeed be captivated. After all, you want to transmit information but not in a dull and uninteresting manner. Believe it or not, if you mix statistics with a story, the result will be that people will manage to remember those numbers. Another thing you need to remember about storytelling is the importance of having a clear structure for the story in your mind. Forget about ambiguous and foggy beginnings as they will turn off the interest of whoever may be listening to your story. Instead, try to find that thing that will make the story exciting and make sure to reach for it right from the start. If you do so, most certainly you will notice that the attention of the person in front of you will shift immediately. Every time I speak about storytelling I like to use the example of SpaceX and Tesla. They are both successful companies, and one of the reasons is the compelling story behind them. We have all heard how Tesla with SpaceX sent a Tesla Roadster car and mannequin called Starman into space or stories about Elon and his plans. A good story will connect and emotionally engage people with any brand. And it also has the power to continue to be responsive to their changing awareness, interests, and needs over time. Something tells me you just chose the second company. But I need to be honest with you; both companies are SpaceX, but the first example is an example that I wrote in a similar way to how many companies are writing their ads; text that has no story in it and has minimal potential to excite the potential candidates. The right story could turn a passive candidate into an active candidate, yet so few companies are using storytelling techniques in their recruitment. While it is hard to tell a long story in a short amount of time during an interview, you can still use more concise examples as stories, which is an excellent way to make candidates interested. It’s the same as when you are sharing stories with your friends. For instance, if you are telling a story about a one-time company event that was incredibly surprising, don’t stick to this aspect alone. Of course, you don’t have to talk about all the significant events you experienced, but make sure to mention something interesting that will also describe the team or company and create excitement. What may seem to be an ordinary story about a company event could turn into something great if it is connected to a more significant and essential aspect. Don’t forget to use elements that will help the listener relate to your story. Use a proper setting, characters, and even language so that it sounds familiar to the people who listen to it. This way, they will make a connection with the story more efficiently, and that helps a lot when it comes to remembering a story. Try to avoid any internal jargon in your story. You should not wait to have interviews with candidates to use the storytelling technique. The first place where you can use your storytelling techniques is your advertisements when you are recruiting a new position. Many companies release static, dull, and unattractive ads for the jobs they offer. While these ads will attract the attention of people who are looking for a job, they may not draw the attention of the talents you are looking to find. It is somewhat challenging to find the right people for the job. Make sure that the ad promoting the position within your company tells a great story so that people become intrigued and want to apply. Getting back to the candidates; when interacting with them, you should always share stories, regardless of whether you are communicating over the phone, via e-mail or in face-to-face meetups. If you just looked over their resume and asked them a bunch of questions like a robot filling in a checklist, then don’t be surprised if the people you selected lost their desire to work for your company on the way. This happens because you did nothing to make them care about the company and the job. You did not manage to establish a connection with them. This can be changed with the power of storytelling. You can share stories that involve your employees and your company or even personal stories that reflect meaningful things connected to your actions and experiences. Use storytelling techniques to connect with people and make them want to join your company, and recruiting will become natural. Storytelling is the basis for almost everything in our society. Even the small stories such as “why your company has this name” or “your mission” will create a story that can catch the attention of any candidate. Not only will you get their attention, but you will also establish a connection with your candidate, and this could be the reason why he/she is going to accept your offer and not your competitor’s offer. The reason why I tell stories is because I hope they will inspire others and this will lead to more action and new ideas. Stories carry the ideas that change the world, and they are the lifeblood of the human race.